Competing in the 200m at the Dag Samuels Developmental Meet at the A.O. Shirley Recreation Ground in Road Town, Tortola, on February 24, 2018, DeFreitas blazed to victory in 24.07, surpassing the qualifying standard for Junior Worlds, 24.20. BVI Athletics Association (BVIAA) President Steve E. Augustine confirmed to our sports desk that DeFreitas has qualified for the IAAF Jr Championships and extended congratulations to the young athlete. The IAAF World Jr Championships is due to take place at Ratina Stadium in Tampere, Finland, from July 10 to 15, 2018. It was on February 9, 2018 that DeFreitas, of Sprint Tech Track Club, met the qualifying standard for the Carifta Games while competing at the Boston University’s David Hemery Valentine Invitational. The Elmore Stoutt High School Grade 12 student and Junior Athlete of 2017 clocked 24.23 in the 200m, with the 200m qualifying time for Carifta Games being 24.50. The 47th FLOW CARIFTA Games will be held from March 30 to April 2, 2018 at the Thomas A. Robinson National Stadium in Nassau, The Bahamas. Meanwhile, the Dag Samuels Developmental Meet yesterday, saw athletes from Antigua, as well as from the US Virgin Islands (St Croix & St Thomas) competing. 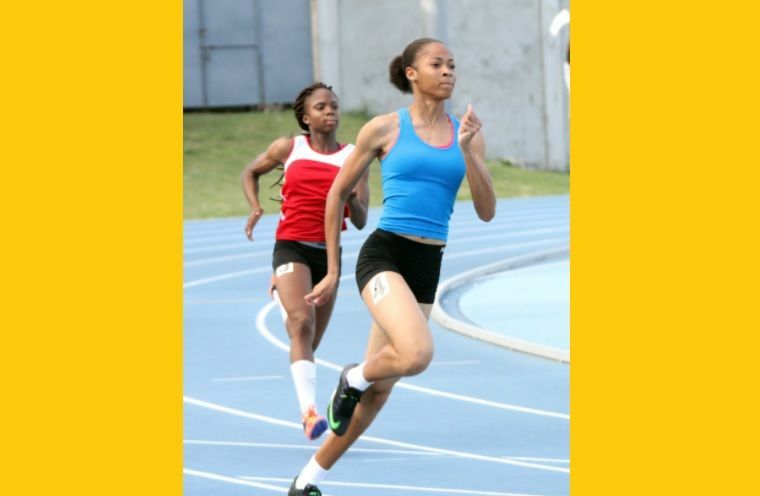 The athletes from Antigua included Joella Lloyd and Soniya Jones in the 100m and 200m under 17 Girls event, Kyra Willette in the under 17 Shot Put, Dahlia Barnes in the Long and Triple Jump, Ramadin Alexander in the 100m and 200m under 20 Boys events, Razeeam Richarda in the 100m, 200m, 400m under 17 events and Sheldon Noble in the under 20 Boys Long Jump. Results will be available in a subsequent publication. What have YOU accomplished that we can celebrate ?